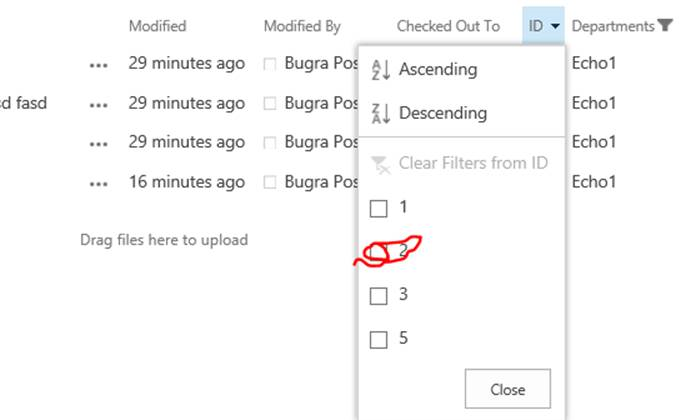 Problem about using Metadata navigation with column filters together. 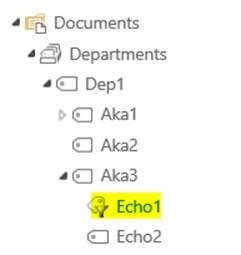 Recently we have facing incidents for SharePoint 2013 and SharePoint Online about using “Metadata Navigation Filtering” with “Column Filters” together problem. You can find more information how to setup “Metadata Navigation Filtering” for a list in details. Then configure the list -> List Settings->Metadata Navigation Settings and add “Departments” column to “Selected Hierarchy Fields” section. Our default view looks like that. And facing the problem it is not filtered correctly . Just order changed. But this is currently not supported (12/12/2013 SPS2013 Build:4675) in Client Side Rendering (CSR). By default the views render with client side rendering. You can get more details about CSR if you are not familiar with it by below article. Currently the webpart are rendered by Server and the problem is not happen.